The opposition Reform Party is planning on submitting a motion of no confidence against Minister of Economic Affairs and Infrastructure Kadri Simson (Center), party chairman Hanno Pevkur told ERR's radio news. Simson, however, believes she is the victim of false allegations. 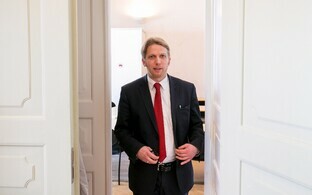 According to Pevkur, the Reform Party will first consult with the Free Party and the Conservative People's Party of Estonia (EKRE), their fellow opposition parties, as well as ask for th opinions of junior coalition members Pro Patria and Res Publica Union (IRL) and the Social Democratic Party (SDE). "At first it seemed as though there were no reason for a motion of no confidence — that a person's work and home lives are to be kept separate," Pevkur said. "But now it feels as though there are plenty of reasons." According to the Reform chairman, it is more broadly a matter of the minister's trustworthiness, which suffered a heavy blow in connection to the so-called "pigs affair," but was likewise affected by matters related to public transport and other issues falling under Simson's area of government. "The prime minister did say that Kadri Simson did not participate in coalition talks during the corresponding chapter, but it turned out that she still did," Pevkur noted. "And [Simson's common-law partner] Teet Soorm's businesses have received maximum support. When exactly the Reform Party would submit its motion of no support against Simson, Pevkur could not yet say. According to the chairman, the party wants to invite the minister to report to its parliamentary group, as do the other opposition parties. A minimum of 21 votes are needed to submit a motion of no confidence in the Riigikogu, while at least 51 votes are needed for a successful no-confidence vote. The opposition Reform Party currently has 30 votes in the Riigikogu, while the Free Party and EKRE have another seven votes each. Simson wrote on social media that she wished to clear things up regarding some false claims being spread by daily Postimees. "First of all: the paper has not exposed anything, as though I had played pig farming support into anyone's hands," the minister wrote. "Just for your information — I was present at nearly every meeting during coalition talks [in November 2016], regardless of topic, and so one could 'expose' that I played into the hands of all other coalition promises." She also added, that when it came to agricultural matters, she wasn't even the primary negotiator; the Center Party's principal negotiator on those matters had been Siret Kotka-Repinski. 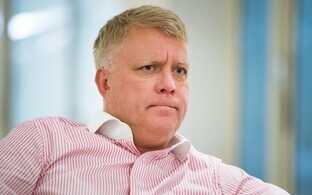 "During negotiations, the Center Party defended its longtime positions, among them the restoration of transitional support, the disbursement of crisis support at the maximum allowable rate, and the support of pig farmers who had suffered a great deal as a result of [African] swine fever," Simson explained. "The sector needed support!" According to the minister, experts from their respective fields were always included in the negotiations, and many suggestions were submitted in writing. A joint appeal by the Central Union of Estonian Farmers, Estonian Farmers' Federation and the Estonian Chamber of Agriculture and Commerce sent to the coalition government being formed in mid-November 2016 also played a significant roll in negotiations pertaining to agriculture-related matters; their demands included the payment of transitional support at the maximum allowable rate, crisis support for the dairy cattle and pig farming sectors, to be paid out quickly and at the maximum allowable rate, as well as support for breeding. "Second: my partner has not received a single cent of support — not a single cent," Simson continued. "Postimees has repeatedly attempted to spread such a claim, even claiming that Teet Soorm was the biggest beneficiary in the distrubition of all support. This is a lie. Teet Soorm does not have any businesses which would have received support." She explained that a business in which Soorm's father owned a minority stake had filed for support, but in nowhere near the maximum amount, as some media outlets have claimed. "No payment of support in the maximum amount depending on the sows' age likewise existed," Simson said. "This has been confirmed by the party distributing the support, which was the Estonian Pig Breeding Association (ETSAÜ). Postimees is now claiming that the state paid out support to businesses connected to pig breeding; in reality, the government allocated funds for this, but support amounts and the specific businesses to receive support were determined via the breeding association." Third, Simson noted that, according to its representative, OÜ Linnamäe Peekon, which was not her partner's business, had wanted to join ETSAÜ in May already, when they purchased their farm from Finland's Atria Group. At that point, there was no talk of support, a change in ruling coalition or coalition talks. "According to representatives of the farm, it took from May to November, when the business joined the Animal Recording Centre and ETSAÜ, to carry out the necessary affairs," she explained. "There was definitely no detailed discussion during coalition talks about how support is paid and whether a business must belong to the Animal Recording Centre or ETSAÜ in order to receive support." Thus, she said, Linnamäe Peekon had no reason to unexpectedly join these bodies in hopes of receiving support. "This support disbursement system was decided later by the Minister of Rural Affairs with his own regulation," she added. Simson maintained that supporting pig farmers during a difficult time was the right decision, finding that the alternative would have been imported meat and the disappearing of one of Estonia's principal branches of agriculture. "Over the past week, Postimees has repeatedly published articles with false facts, and has not issued a single apology after having their attention drawn to these lies," Simson claimed. "Postimees' false claims have been pointed out repeatedly. It is time for Postimees to admit to its mistake, as opposition politicians are already basing their next decisions on these false claims."